It’s outrageous! The High Street has changed beyond recognition. Jones’ shop has been bought by that man Hodges who has installed his cousin behind the counter. It is most off-putting to watch the fellow chopping meat and see that he too has dirty fingernails. He also has a surly and belligerent attitude. I asked him if he had been long in the trade and he looked me straight in the eye and said that his father had been proprietor of a slaughterhouse. His actual words were: ‘My bleedin’ old-man ran a knackers yard ’til they shut ‘im down.’ I shan’t be buying my meat from there. 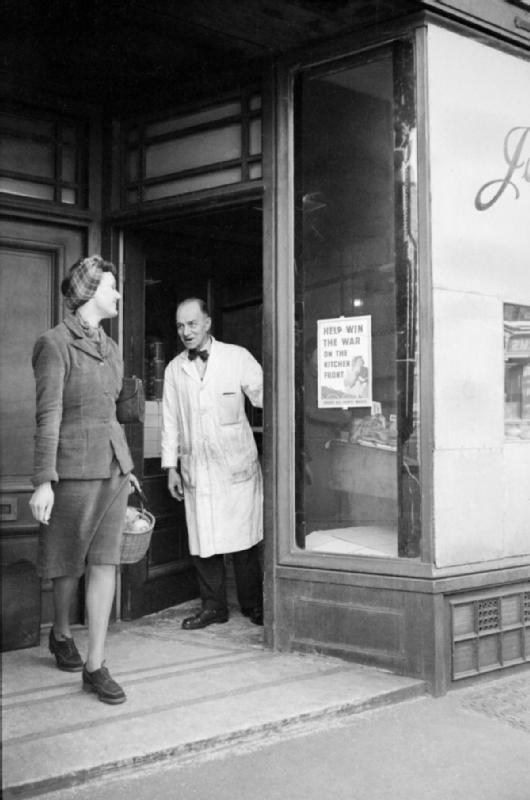 Not only that but young Walker has acquired a prominent premises in the middle of the high street with a gaudy sign over the door proclaiming it “Joe’s Emporium – off-ration scarcities and high class dry-goods a speciality”. He was standing in his doorway with a cigarette dangling from his mouth, but I pretended not to see him. Frazer’s business still seems to be flourishing I’m pleased to say. I thought about dropping in, but reconsidered. Frazer is not a man I could call a friend and I’m not sure how he would have received me. I was distressed to see that they’ve not put the railings outside the Town Hall back yet – I would have thought they could have melted down all those surplus tanks and given us a bit of our civic dignity back, but no. We shall see on Sunday whether the vicar got his bells back. This entry was posted in diary on January 8, 1948 by wolAdmin.